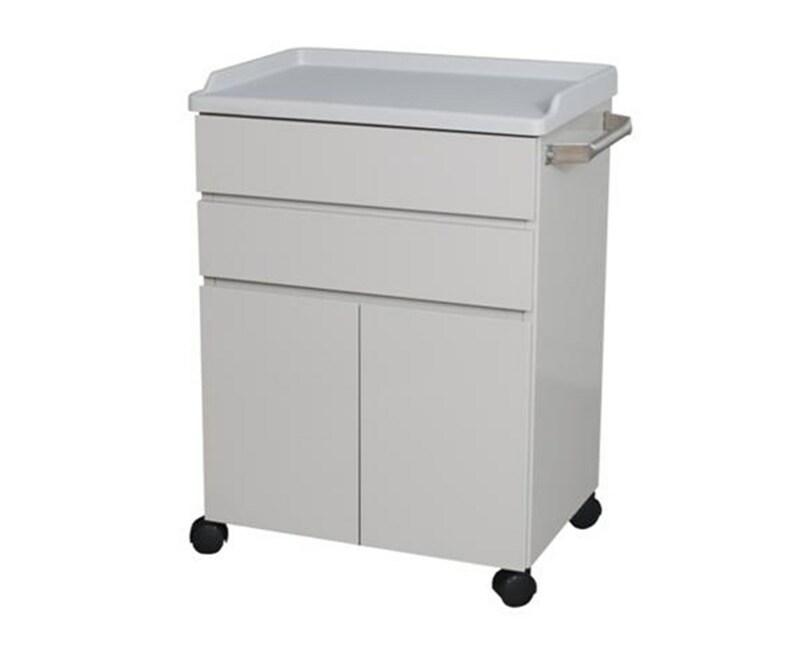 UMF's 6214 Mobile Treatment and Supply Cabinet takes the top of the line quality of UMF treatment cabinets and adds mobility to the mix, for applications that require versatility and adaptability. Featuring 20 gauge steel construction and a Kydex top with rail, this cabinet is built to withstand heavy use for many years. Two drawers and two doors provide all the storage you could need in a mobile cabinet. 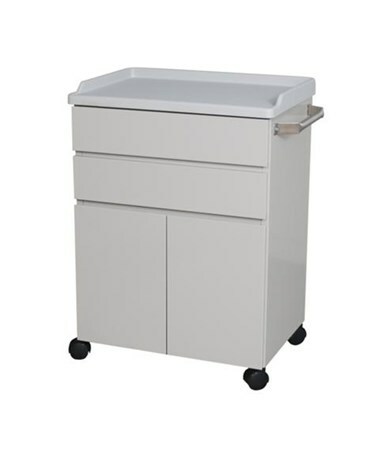 Full extension, roller-bearing glides guide the drawers open and closed. The doors use heavy duty concealed door hinges for long term, reliable operation. Smooth, efficient movement is the cart's main feature, with 2" (5.1cm) twin wheel carpet casters moving the cabinet anywhere you need it to go. Finally, a stainless steel push handle makes pushing or pulling the cabinet a breeze. The cabinet measures 34.25" H x 25" W x 18" D. The interchangeable door and drawer fronts come in 8 colors. View the available color chart and note your choice in the Special Instructions field during checkout.